Job Salary and Benefits: The starting salary is £28,859 p.a. plus pension scheme, 25 days leave – potentially increasing to 30 days. 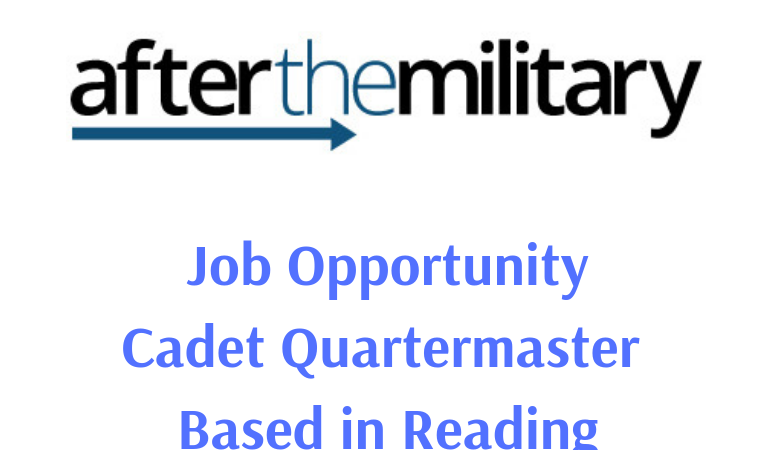 My client has a full-time vacancy for the position of Cadet Quartermaster with the Royal County of Berkshire Army Cadet Force, based at its headquarters in Reading. The appointment calls for a six months probationary period, which will become permanent upon successful completion. Reporting to the CEO the Cadet Quartermaster is responsible for all stores, accounting, supply, maintenance, vehicles and logistic support.